For the AU to intercede again – as it did in April 2015 during the last explosion of xenophobic violence – would be a major embarrassment for South Africa. On Wednesday Mnguni told ISS Today that the issue had not yet been taken up by the AU, as South Africa and Nigeria were still dealing with it directly between them. However, it might yet go to the AU if the two governments could not resolve it, he added. Mnguni had just met a delegation of students who last week staged a protest at the South African High Commission in Abuja, burnt the country’s national flag and issued a 48-hour ultimatum to South African nationals to leave Nigeria. Mgnuni urged the students not to carry out their threats to conduct further reprisal attacks against South African interests, pointing out the extra efforts which South African police had recently made to protect foreigners. But the African Diaspora Forum (ADF), which represents African migrant communities in South Africa is not at all happy with this sort of response by South African authorities – and particularly not Johannesburg’s Democratic Alliance mayor Herman Mashaba – to the attacks. The ADF has accused Mashaba of inciting the attacks by blaming illegal immigrants for the lawlessness of Johannesburg. ADF Chairperson Marc Gbaffou told ISS Today that ADF leaders met Mashaba on Tuesday this week and urged him to publicly retract this statement. He refused to do so, Gbaffou said. Mashaba told them that they should be thanking him for ordering his officials to shoot at South African citizens to protect migrants over the last few days, instead of demanding he retract his statement. Mashaba repeated that he would not accept migrants in Johannesburg without the proper documents, Gbaffou said, adding that the ADF planned to refer Mashaba to the South African Human Rights Commission. The ADF was also calling on all the major South African political parties to tell South Africa, Africa and the rest of the world where they stand on the xenophobic attacks. 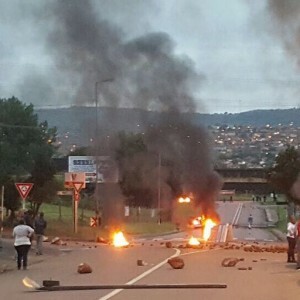 He deplored the decision by President Jacob Zuma and the government to allow last Friday’s violent march in Pretoria to go ahead on the basis that it was a protest against crime, including drug-dealing and prostitution, rather than against foreigners. Ever since xenophobia first raised its ugly head over a decade ago, political leaders, like former president Thabo Mbeki, Zuma and Mashaba, have been in denial, ‘trying to find another name for it’ – such as ordinary criminality. During the 2008 attacks, at least 62 people were killed, and in 2015 at least seven. Gbaffou said so far one Democratic Republic of Congo national had been killed in Cape Town this week. The Somali Community Board of South Africa said, by early February, 14 Somalis had been killed in the Western Cape alone, though this has not been confirmed. Richard Ots, head of the South African office of the International Organization for Migration (IOM), suggests the death toll has been lower in 2017 than in 2015 because of a faster police response. Ots says there are three main elements to violence against migrants: xenophobic feelings, criminal opportunism and scapegoatism, all of which require different, though complementary, responses. Addressing ‘scapegoatism’– the blaming of poor government service delivery on foreigners – would have the biggest impact on xenophobia, but is of course very hard to address because it demands better service delivery, which is a wider and chronic problem. Ots also recommends that the government should beef up its existing programme of helping to repatriate immigrants who want to go home. And it should allow in more legal immigrants, as it is mostly undocumented migrants ‘who are vulnerable to exploitation or who end up supporting themselves through petty crime.’ And that involvement in crime exposes them to attacks from locals in the name of fighting crime, as we saw these past weeks. Gbaffou says the government doesn’t realise what African embassies in Pretoria are quietly reporting back to their capitals about the attacks. Others are simply less vocal than the Nigerians, he suggests. Clearly, though, xenophobia is giving South Africa a bad name on the continent it likes to call home. As ISS consultant Liesl Louw-Vaudran noted very pertinently in her recent book, South Africa in Africa; Super Power or Neo-colonialist?, the 2015 xenophobic violence put South Africa on the agenda of the AU’s Peace and Security Council for the first time – along with putschists, al-Shabaab terrorists and the like. And the xenophobia is also hurting both economic and political relations. After the 2015 attacks, there were reprisals or threats of them, including expulsion or boycotting of South African businesses, in several countries whose nationals had been victims of xenophobia. These included Nigeria, Zimbabwe, Mozambique, Zambia, Malawi and Ethiopia. That is very worrying, posing a risk both to Pretoria’s ambition to influence political and security affairs and to its critical economic investments on the continent. For example, the continental repercussions to the 2015 xenophobic attacks may have pressured Pretoria into making its disastrous decision to allow Sudan’s President Omar al-Bashir into South Africa to attend the AU summit in June of that year, and then not to arrest him on an arrest warrant from the International Criminal Court. A senior AU official told ISS Today then, that if South Africa refused entry to al-Bashir, that – coming on top of the xenophobia – would wreck its relations with Africa. And now the xenophobic violence is happening again. It could be offered, in mitigation, that xenophobia is on the rise everywhere in the world, and also that it tends to target relatively wealthy countries like South Africa, which are magnets for immigrants. But, regardless of the precise degree of moral guilt, it is surely high time South Africans of all parties and at all levels of government, get together to admit the country is suffering from xenophobia so it can begin to fundamentally tackle the problem for what it is. If only for the sake of self-interest.